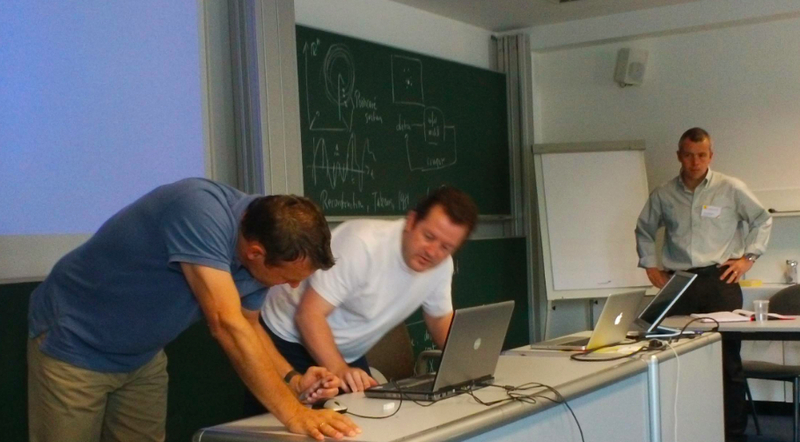 Session 3 of Day 2 at the Computer Science in Sport Conference (Special Emphasis:Football) at Schloss Dagstuhl was dedicated to Coaching themes. The session was chaired by and introduced by Stuart Morgan (Australian Institute of Sport). His introduction focussed on the ways coaches and scientists communicate. I liked Stuart’s representation of the communication process. Stuart explored signal to noise issues and presented these data from the 2010 Champions’ Trophy Tournament. 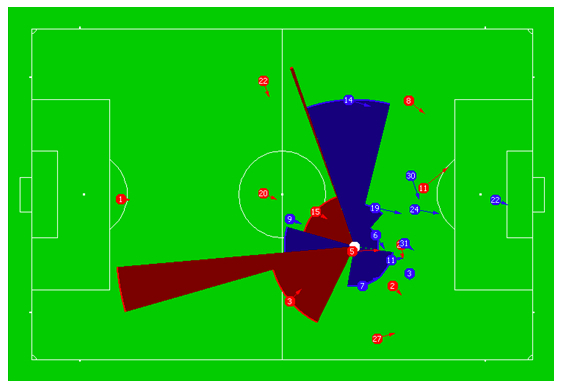 These were all Germany’s ball movements in the attacking third of the pitch. This paper presents data from the games (n=16) in the first two rounds of the 2011 FIFA Women’s World Cup. Attention is drawn to patterns of goal scoring and the relationship with FIFA ranking (18 March 2011). The paper includes a profile of winning, losing and drawing in the 16 games (presented as averages). The paper is used as a stimulus paper for discussion of technical and tactical aspects of game play at this World Cup and in football generally. Tim McGarry presented after me and looked at Human Information Processing: Penalty and Free Kicks. Tim shared some descriptive data from penalty kicks and shoot outs from European Championships and World Cups from 1976 to 2010 (1976 saw introduction of penalty shoot outs). He noted that in penalty shoot outs, penalty 4 appears to be the weakest link in a shoot out (of 5 penalties taken). Tim asked who should take this penalty? Should the most experienced (and successful) penalty taker be allocated this role? Tim discussed goalkeeper actions in penalties and considered the options available in 400ms. Tim discussed free kicks too. He presented descriptive data from the 2002 and 2006 World Cups and the 2004 European Championships and discussed the optimisation of goalkeeper reaction and response. He discussed the role of a defensive wall in these free kick situations. Joachim Gudmundsson was the fourth presenter in this session. He discussed extracting and making sense of information from trajectories. He discussed his work in the defence services, with animal behaviour and in sport. Johaness Uhlig (Universitat Wien) was the next presenter and discussed his work with the Austrian Under 17 Women’s team and with his club team. Johannes described his coaching and his tactical approach based on a basic 4-4-2 formation. He emphasised three phases of play: attack, defence, switchover. He discussed the development of a tactical animation program (TAP) to support coaches and its use in practice. This is an interview with Johaness when he was the national coach. The final presentation in the afternoon’s session was from Koen Lemmink (University of Gronigen) on Tactical Match Analysis in Soccer: New Perspectives? For some of the ideas discussed in this paper see Frencken, Lemmink and Delleman (2010). Koen explored three different approaches to observing and analysing performance. He provided examples of each approach. 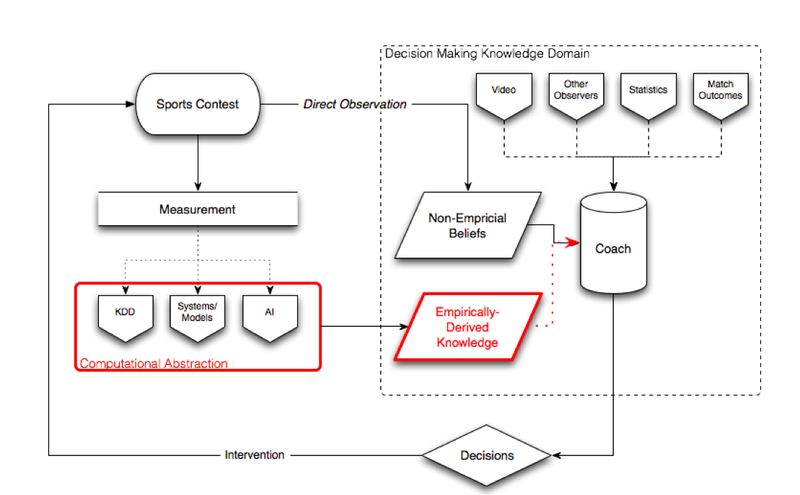 A Practice Model that uses frequencies of event data and player profiles. This is coach driven and has a focus on direct feedback. Example of direct feedback and direct streaming. A Statistics Model that identifies performance indicators, notes statistical differences. This is a domain populated by mathematicians, statisticians and econometricians. Its focus is pattern analysis and recognition. A Theory Model that uses scientific insight to understand interactions and networks. He emhasised the possibilities of building multidisciplinary teams that had a strong focus on explanations and shared rich data on positional play. The session concluded with an extensive discussion that was stimulated by Max Reckers ideas about sharing data. This included consideration of the role of the embedded scientist in a sport setting.